The effective and efficient solution to reset the password from a CorelDraw *.gms (global macro storage) file. CorelDraw GMS password recovery software is an effective solution for removing the passwords from CorelDraw GMS file. The tool has the ability to bypass any length of the forgotten CorelDraw GMS file password. By using CorelDraw GMS password breaker users can easily reset the forgotten Corel GMS file password. Also, processing the password protected CorelDraw Macro file using this tool will become accessible once its password is removed. Once the old password is cracked of the Corel GMS file. The tool will automatically generate the new password. Therefore the new password generated by the tool will automatically replace the old passwords in order to access the file. While performing the password reset process there are no such limitations imposed on the character length of the password. CorelDraw GMS password cracker can easily recover the CorelDraw GMS file password of any length without any problems. Resetting of multilingual GMS file passwords is supported by the software. It allows users to reset the password which is comprised of numerals, characters, and alphabets or the combination of the three character types. CorelDraw GMS password remover successfully supports all the version of Corel files. Users can reset the macro password from the GMS file of the CorelDraw versions X7, X6, X5 and all the below versions of the CorelDraw are supported. Once the password is reset, the tool provides the complete details of it once the process is finished. GMS password reset details include initial processing details, locating and removal of the GMS file password, the new password created and it’s final status. CorelDraw GMS password breaker utility can be yours at the low cost with Personal, Enterprise and Business licenses. 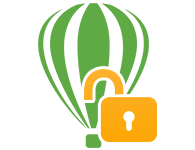 Users can easily reset the unlimited number of CorelDraw GMS file passwords without losing any data. So quicken up and reset the password from the computer system using this tool. The trial version of CorelDraw GMS password recovery allows users to reset the complete password of the GMS file and also allows to generate initial 2 characters only for the new password. The licensed version of the software allows an unlimited number of times to crack the password of the CorelDraw GMS file and also user can generate any initial characters for the new password. Can I recover the old password for CorelDraw Macro file? No, the Corel GMS file password remover tool will reset the password applied by the user and generates the new password by replacing the old one. Is it possible to get the forgotten password back using this tool? Yes, it is possible to get back the forgotten password of the CorelDraw GMS file using this utility. How can I get the new password after resetting the password? The newly generated password will be displayed in CorelDraw GMS password recovery tool panel once the resetting of password has been completed. Can this process multiple CorelDraw GMS file together? No, the software can only process one password protected file at once. However, this utility can be used multiple times to remove the passwords from different files separately. Although, the users are supposed to maintain the password of the CorelDraw GMS VBA Macro files. But there are situations when the users are upgrading the systems and the file somehow gets misplaced and is nowhere to be found. Thankfully, a friend of mine suggested me to use the CorelDraw GMS password breaker software. And it worked really well. I had a very old Corel GMS file, to which my team applied the password. Recently when we had the requirement to use that file, but being that it was an old file, the password of its macros cannot be maintained. Thanks to the engineering team of the tool, we are now able to access password protected Corel GMS file and work on that file easily. It’s that kind of the product which is taking our business to a whole new level. It provides one on one customer services which we were looking for. 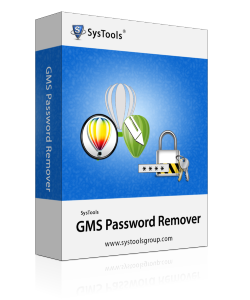 Thank you for stunning and easy to execute CorelDraw GMS password remover. Most of the utility are very time consuming but this software works really well and does not take much time to reset the Corel GMS file password. I am fully satisfied with this product and will rate this product 10 out 10.